This past Saturday, K and I went to the Borough Market—London’s most famous food market. 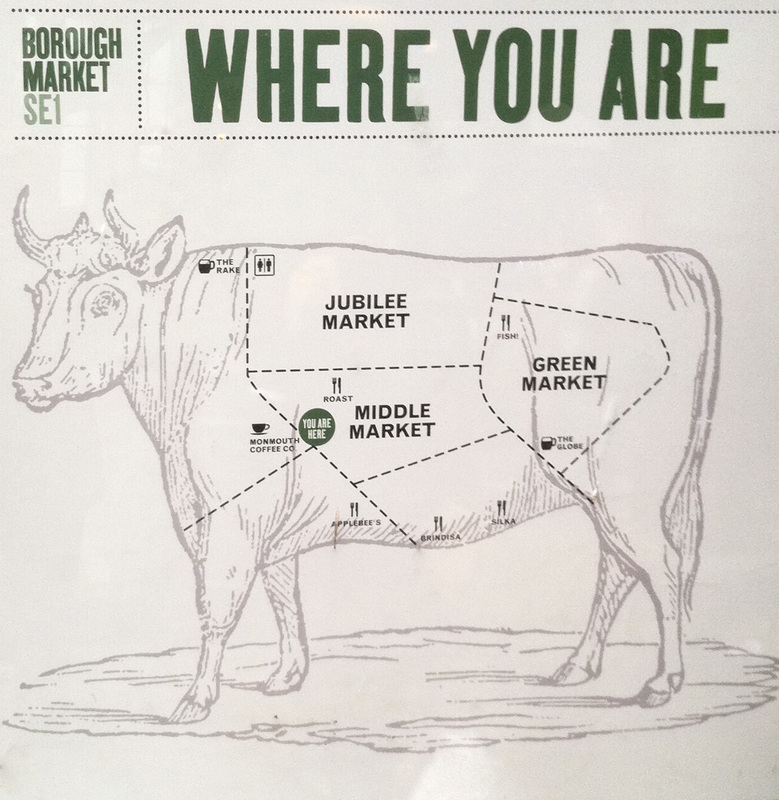 The Borough Market offers a massive selection of artisanal products, gourmet foods, fruits, vegetables, meats, cheeses, breads, pastries, and so much more. Not only is it a retail space, it’s also a great place to enhance your culinary knowledge from vendors willing to share their tips and tricks. With all there is to see and taste, we managed to weave our way through the maze of food stalls and the Saturday afternoon crowds to find the perfect choice for lunch…The Brindisa Chorizo Sandwich (Brindisa Chorizo served on a ciabatta roll with roasted Piquillo peppers and arugula). Yum. The selection of produce and food is amazing but do get there early on a Saturday if you want the space to move around and shop. This entry was posted in The Sights and tagged Borough Market. Bookmark the permalink.